Is life after "SNL" just as sweet as life on the show? In some ways it's sweeter - or at least way more relaxing. So then why is Rachel Dratch throwing herself into a theatrical pressure cooker on Broadway? It has something to do with kids, pens, and Rosie Perez. What?! 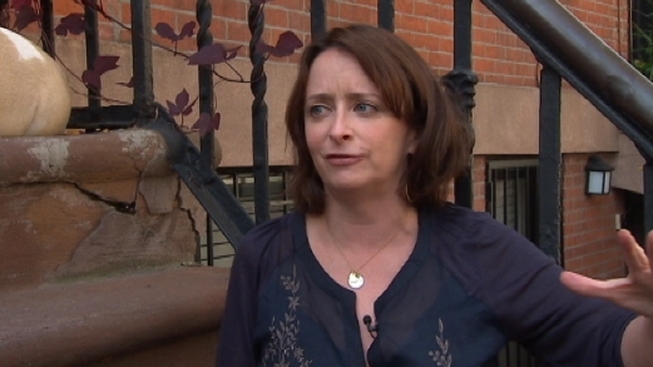 Let's let Rachel Dratch explain on "Talk Stoop." Former "Saturday Night Live" star Rachel Dratch posted a photo on Twitter of a 20-year-old parking ticket she received this week from the City of Chicago. "Chicago does not f around," the New York City-based comedian wrote on Twitter. "I received this parking ticket in the mail today. Look at date. It's from TWENTY years ago." The ticket was issued on Dec. 8, 1997 — right around the time Dratch was a member of the Second City cast in Chicago. Sure enough, the "offense location" is listed as 150 W. North Ave., just a block from the historic comedy club in the city’s Old Town neighborhood. NBC 5 asked the City of Chicago about the ticket's authenticity and whether there is a statute of limitations on parking violations. "The City sends at least five separate notifications to motorists regarding parking violations before referring a ticket to collections. Once a ticket is in collections additional notifications are sent, and it can be re-referred to a separate collection agency to work to identify new or updated mailing information. We followed the same process in this instance." While a 20-year-old parking ticket sounds like it may be a plot line from Dratch's iconic "Debbie Downer" sketches, the actor will have to pay a real $73.20 fine to the city, unless she contests it. Dratch performed on Second City’s main stage from 1995 through 1998, alongside fellow 'SNL" alum Tina Fey, according to her bio on the theater’s website. She then went on to star on "SNL" from 1999 to 2006, and has appeared in several films and television series, including Fey’s "30 Rock," "Bob’s Burgers," "Inside Amy Schumer" and more.